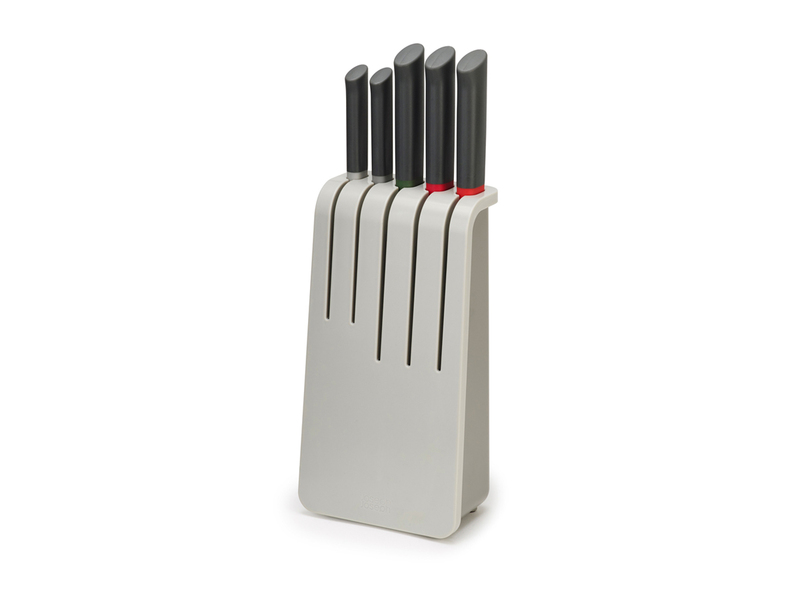 “Presented in a sleek grey knife block, this Joseph Joseph Duo set is a kitchen must-have. 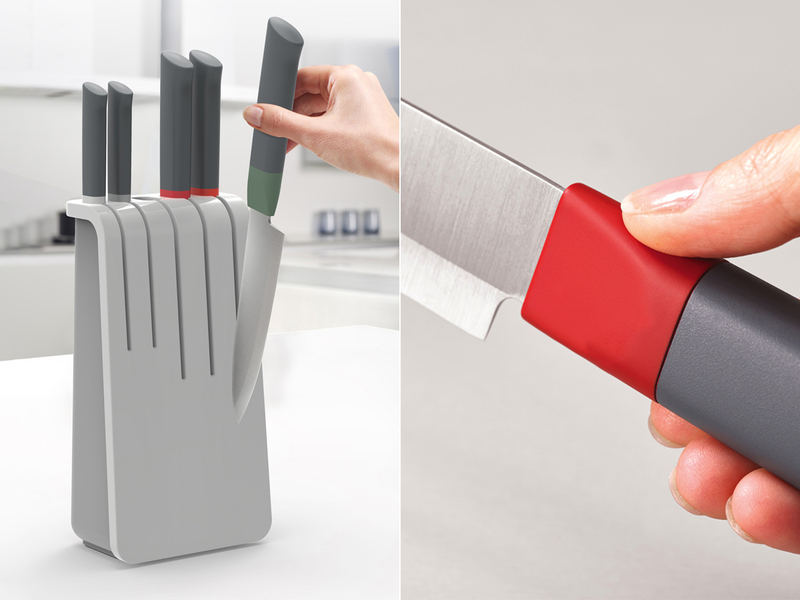 The knives feature Japanese stainless-steel blades and non-slip pinch-grips. They effortlessly slide into the easy-access knife slots of the block. 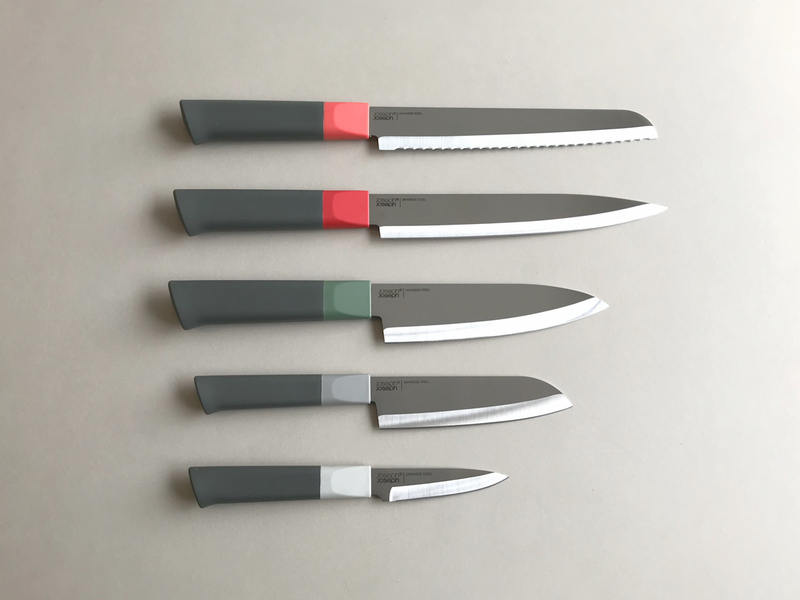 The set includes: 3.5″ paring knife, 5″ Santoku knife, 6″ chef’s knife, 8″ carving knife and 8” bread knife, covering all your chopping, slicing and carving needs.